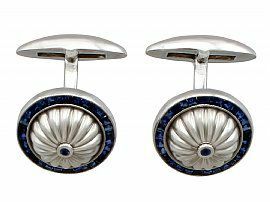 These fine and impressive men's sapphire cufflinks have been crafted in 18ct white gold. The anterior face of each link has a circular, domed form with a fluted design emanating from the centre. 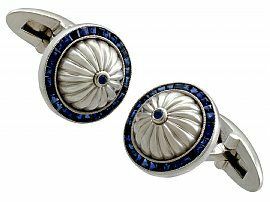 Each link is ornamented with a central collet set round cut sapphire. 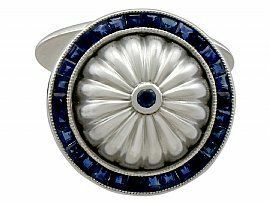 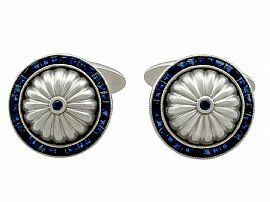 The domed and fluted settings are each bordered by thirty channel set square cut sapphires. 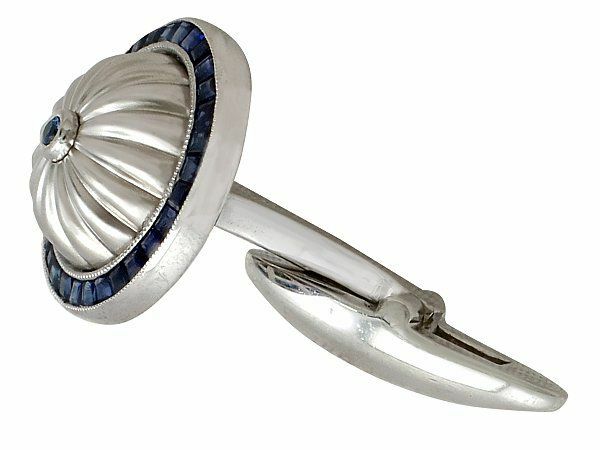 The posterior links have a flattened torpedo form, securing with a whale-back fastening. The whale-back fastenings are each hallmarked with the 18ct gold fineness marks (750). 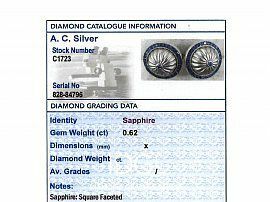 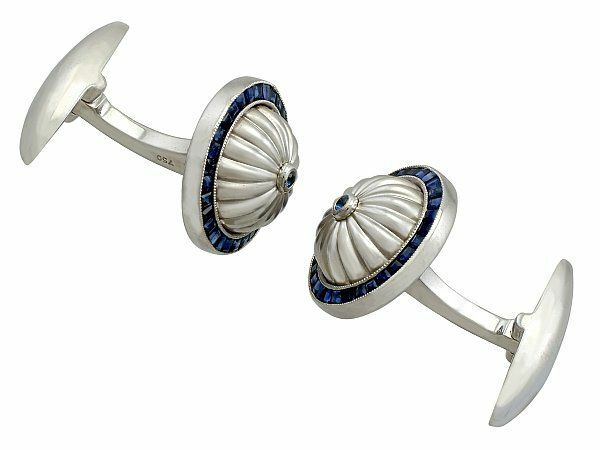 This impressive pair of contemporary gemstone cufflinks is supplied with an independent diamond grading report card. 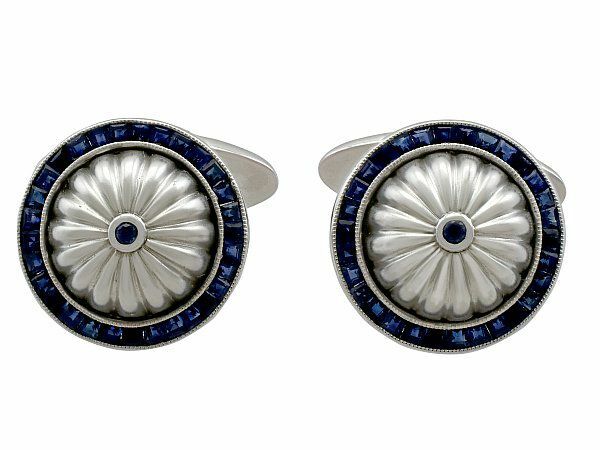 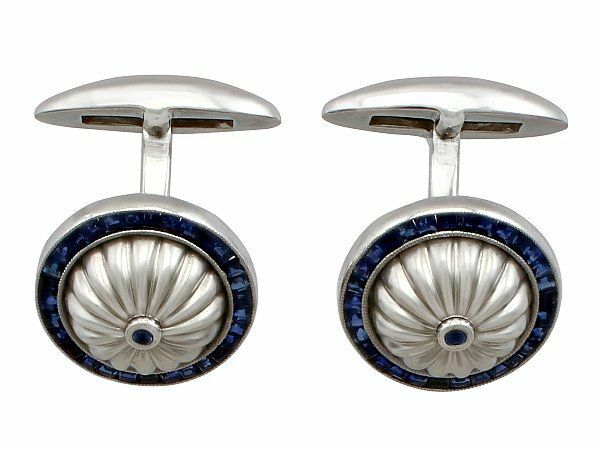 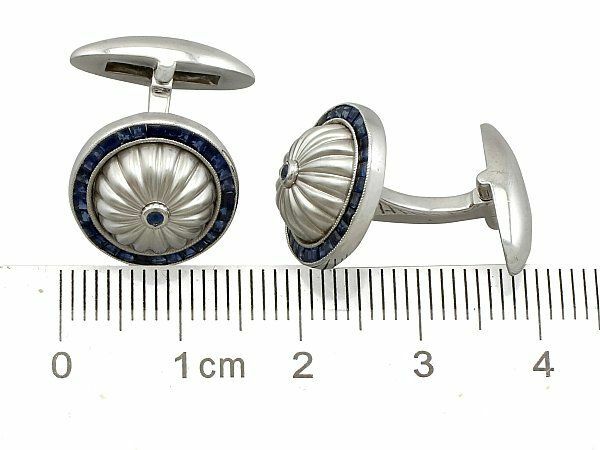 These impressive contemporary cufflinks are exceptional quality set with sapphires. The cufflinks are an exceptional gauge of gold and are in excellent condition with clear hallmarks to the whale-back fastenings. 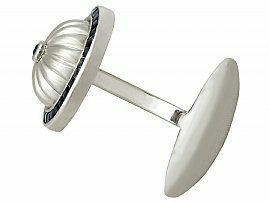 Diameter of anterior link 1.42cm/0.56"
Length of posterior link 1.6cm/0.63"
Width of posterior link 6.56mm/0.26"